Ivory Iglesias has spent her last two summers working in the fields and saving every bit of money she can to afford to join Arvin High’s color guard team. Her dedication has paid off. After getting first in the nation in Las Vegas just weeks ago, Iglesias, a senior, and her teammates are now in Dayton, Ohio for the World Championships where they are ranked first in the world. The team competes Thursday. The money Iglesias saved from her summer jobs only went so far, and she is not alone. 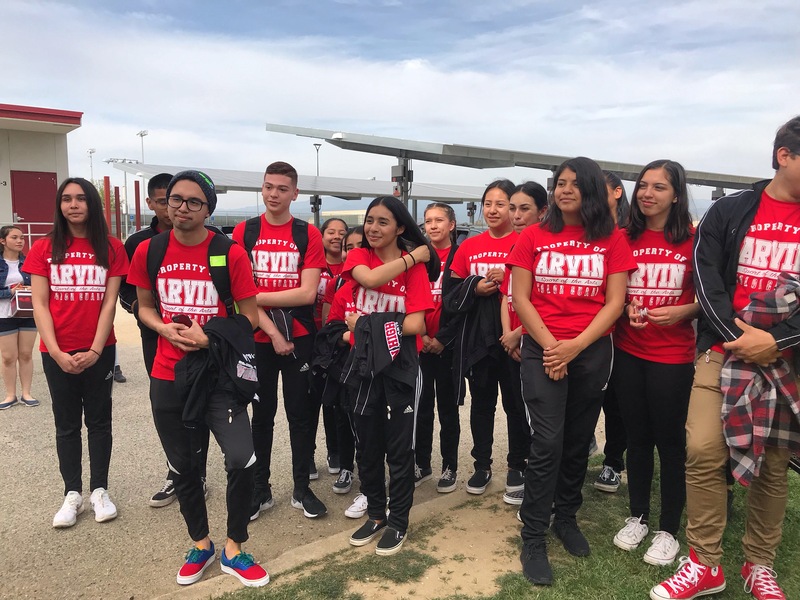 More than half of the team members spent their summers working in the Arvin fields to raise money for their color guard trips; however, they came up short when it came to the World Competition expenses. 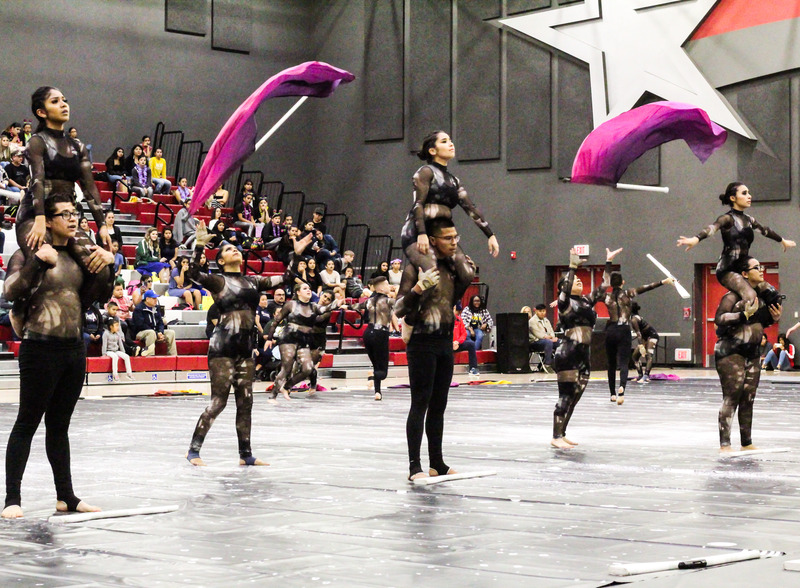 Arvin High’s color guard team performs their final performance in Kern County at North High Saturday before competing in Dayton, Ohio. Last year, the team qualified for the competition but was unable to attend due to the cost. The team wasn’t going to let that happen again. A GoFundMe campaign was created to ensure the group could go to the competition. Within a month, the team exceeded their fundraising goal of $4,000, raising more than $5,400. Bryan Dandin, the team’s coach, said he was surprised by the support from the community since the online campaign started. Arvin High color guard alumni began donating to the account, along with other community members. Dandin is overwhelmed by the support and generosity. “It’s so heartwarming to feel and see their generosity and support for the kids,” Dandin said. “They brought a community together for these kids. Iglesias has participated in color guard since her freshman year. She reluctantly joined the team, at the urging of a friend, but came to love the sport. Now, she doesn’t want to see the journey end. The journey to World’s wasn’t easy. The team practiced 12 hours a week leading up to the competition, but the students aren’t the only ones committed to the sport. Arvin High’s color guard team is ready to head to the airport Monday. They are flying to Ohio for the World Competition. Dandin commutes to practices from Delano. He lays most of the team’s success at the feet of the students. Dandin and his team were determined to dispel any myths about Arvin with their performances. “People would say, ‘Oh, a little town, they won’t achieve anything.’ But here we are, a little town — underprivileged students achieving big things,” Dandin said. Since the widespread support for the team started, the team feels the community is with them during their competitions, Dandin said.